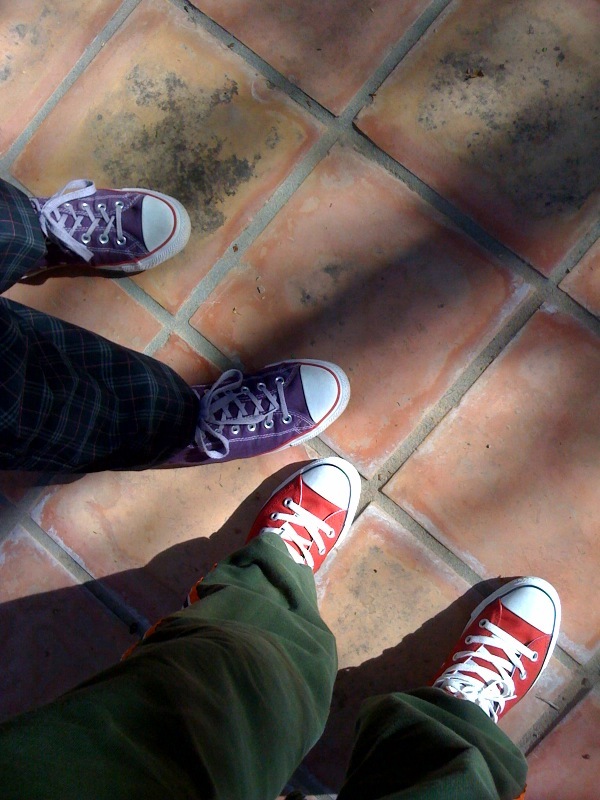 two elle – a lifestyle boutique for women, men, and home » Blog Archive » Where Do Your Chucks Take You? Where Do Your Chucks Take You? Last week, my chucks took me home to Phoenix, Arizona, the Valley of the Sun. While Nashville was suffering its worst snow storm yet (what was it? 3 inches of snow? ), my brother Mikey and I walked the Mexican tiles of our front yard to snap some pictures of cacti and blue skies. We were on a mission to capture the beauty and spirit of those sunny days, and we then sent those photos to Kristin. Now, whether or not we did this to make her jealous or to warm her heart is entirely unclear, but one thing is certain: a journey home in January is so much sweeter when your home is Arizona.